A pophyllite has been used to create a conscious connection between the physical form and the spiritual realm. It facilitates attunement to ones body as well as to the higher dimensional life forms. It allows one to both recognize and act upon the truth in all situations. It enhances mindful analysis, tinged with universal love, and helps one to realize that the state of perfection is the natural state of being. It has been used to facilitate astral travel and to provide a clear and definite connection to the physical body during the travel. It allows one to send information, which has been gleaned during the travel, back to the conscious self – this is one of the stones which helps one to remain totally conscious while experiencing the activities of astral travel (access to akashic records, exchange of communication with those of spirit world, and past-life experiences). The mineral also produces a reflective aspect to allow for the recognition of ones behavior and to encourage one to seek, to recognize, and to correct deficiencies, while providing for an energy gain during these times. It allows one to see into the future – this is facilitated when one looks sideways into the crystal; it is similar in action to the art of “gazing”. The natural apophyllite pyramids have been used successfully for enhanced energy stimulation and as an elixir to bring Light and energy to ones being and love to ones heart. They can also be used to charge objects and to preserve. They can be used to enhance and stimulate ones intuitive vision; the augmentation of these capabilities has been produced by application of the base of the pyramid to the third eye. The natural pyramids have been used to induce access to the spiritual world in order to facilitate the channeling state. One can look through the bottom of the pyramidal structure and traverse time and space, arriving at the “star gate”. Green apophyllite has been used to activate the heart chakra and to provide energy and forthrightness in decisions of the heart. It allows one to absorb the energies one needs from the universal supply of perfect energy. It stimulates a joyful glee. It also has been used in fire walking, to help one to hold the meditative state and, after the “walk”. It has been used to provide a cool clear energy surrounding the feet. In this case, there has been no burning sensation and no physical burn to the feet. This green crystal has been used to facilitated removal of unwanted historical and present day energy/control implants. 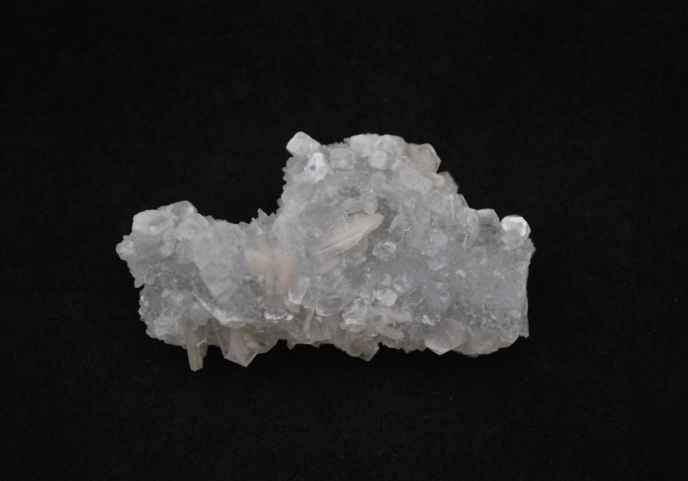 C halcedony is considered as a member of the quartz family. It is either transparent, translucent, or opaque. It occurs as stalactites, in botryoidal form, and in the lining of cavities of rocks. It occasionally contains a small amount of opal. It was used as a sacred stone by the Native American Indians, promoting stability within the ceremonial activities of the tribes. It has successfully been used to provide a pathway for receiving thought transmissions. Chalcedony is useful for balancing the energy of the body, mind, emotions, and spirit. It is a stone to encourage “brotherhood” among all. It symbolizes benevolence and good will, the benevolences stemming from the nurturing energy within stone. It alleviates hostilities, irritability, and melancholy. It enhances generosity, responsiveness, and receptivity. It can be used to improve the assimilation of minerals and to help combat build-up of materials in the veins. It is said to cure varying forms of dementia, to rectify senility, and to increase mental stability. Vogel Crystals are double terminated quartz crystals that are carefully cut in conformance to the findings and teachings of Marcel Vogel.